If you have not read any of the books in this series do not be to alarmed, the author does give you a little of back story so your not to confused. 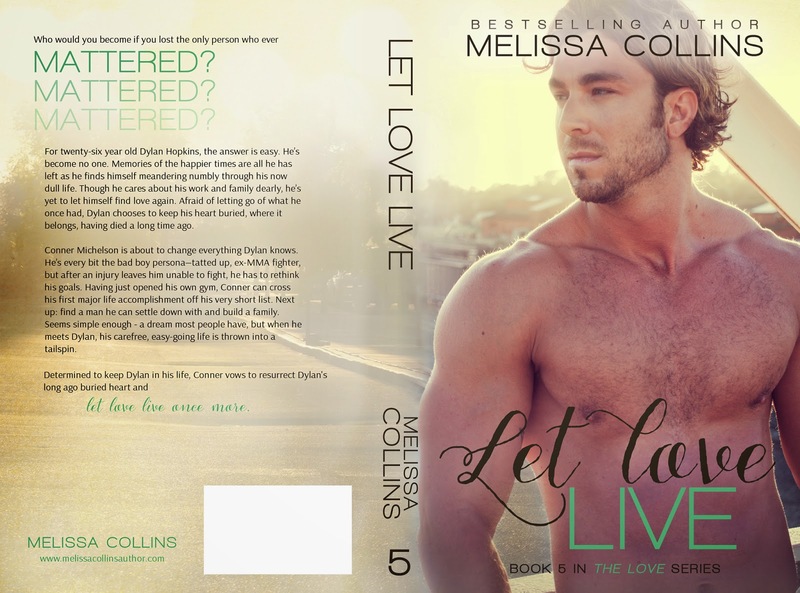 Let Love Live is a story about having lost someone and having the heart to overcome and move forward to finding someone else. This story had me so emotional because I could feel the pain of what Dylan went through especially when it came to Shane. I have to say the author definitely knows how to pull her readers in because I felt sorry for the cruelty that was shown to two men that all they wanted to do was love each other, they weren’t hurting or bothering anyone else. However, after not opening up his heart for so long Connor slowly starts to push through. Will Dylan be able to overcome his lost love and give Connor a chance? As I said the author did such an amazing job with bringing this story to you with all these emotions that the characters felt. I would definitely recommend this m/m novel but be ready and have a box of tissue for those tears.